Heinrich Hiesinger offered to quit the German conglomerate days after clinching an underwhelming steel JV with Tata. His long tenure and advocacy of the group’s conglomerate structure made him ill-suited to the action ThyssenKrupp needs. His replacement should be more radical. 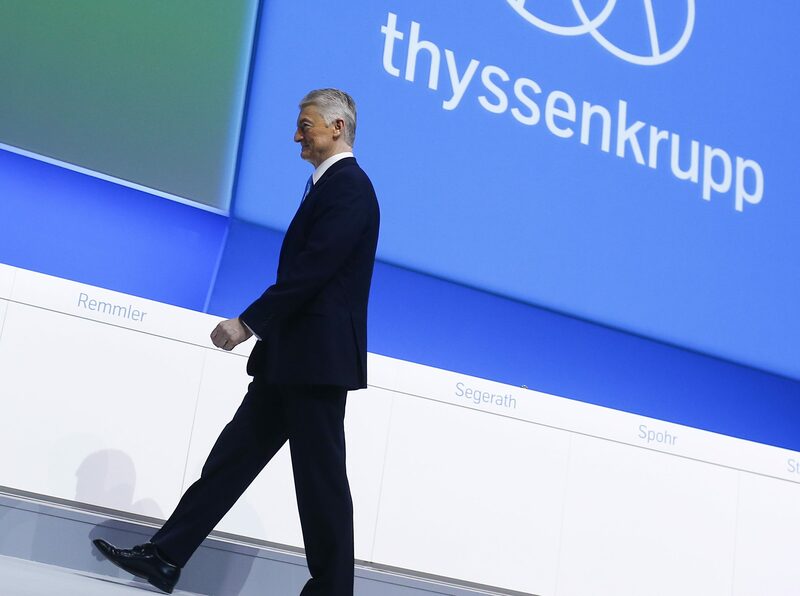 ThyssenKrupp said on July 5 that Chief Executive Heinrich Hiesinger had asked for talks to “find a mutual agreement for stepping down from his position”. Hiesinger said he had taken the step “to enable a fundamental discussion in the Supervisory Board on the future of thyssenkrupp”. “A joint understanding of Board and Supervisory Board on the strategic direction of a company is a key pre-requisite for successfully leading a company,” he said. ThyssenKrupp shares rose 2.6 percent to 22 euros by 0918 GMT on July 6.